WEDNESDAY, Dec. 16, 2015 (HealthDay News) -- Young children with attention-deficit/hyperactivity disorder (ADHD) may experience more problems socializing with their peers, which can then contribute to worsening symptoms, a new study from Norway suggests. But the cycle between symptoms and social problems seems to diminish as children grow older, the study authors said. "Restless kids tend to be less attractive as play partners, due to their problems with sustaining attention to rules, being alert to other kids' ideas and a limited understanding of turn-taking," said study author Frode Stenseng. Stenseng is an associate professor at the Regional Centre for Child and Youth Mental Health and Child Welfare at Norwegian University of Science and Technology. "Parents or teachers should -- at least when it comes to preschool children -- try to guide such children in their social play so that they are not so easily excluded," Stenseng added. One expert was surprised by the findings. "Although we have long known that children with ADHD are at increased risk for peer rejection, it is surprising that earlier peer rejection seems to lead down the road to greater ADHD symptoms, suggesting a bi-directional relationship between ADHD symptoms and social functioning," said Dr. Andrew Adesman, chief of developmental and behavioral pediatrics at Cohen Children's Medical Center of New York, in New Hyde Park, N.Y. The findings were published Dec. 16 in the journal Child Development. In the study, the researchers assessed nearly 1,000 children when they were around 4 years old for symptoms of ADHD. The children's parents and preschool teachers also filled out questionnaires about the children's social interactions with their peers. Then the investigators gathered the same information again when the kids were 6 and 8. The researchers lost track of a little over 300 children during the follow-up process. To characterize kids' social interactions, parents and teachers rated how true three statements were for each child: "Not liked by other children/pupils," "Doesn't get along with other children/pupils" and "Gets teased a lot." When the researchers compared the children's symptoms and social interactions at ages 4, 6 and 8, they found that kids with the most severe ADHD symptoms also experienced the most rejection from their classmates. At the same time, the more rejection kids experienced at age 4, the worse their ADHD symptoms tended to be by the time they were 6. 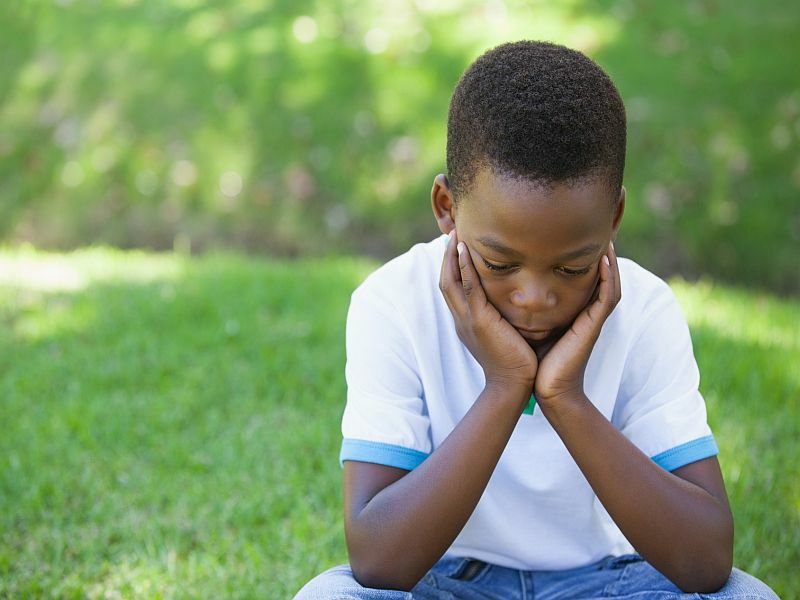 But by the time the children were 8, this cycle of peer rejection and worsening ADHD symptoms no longer appeared to exist, the researchers found. "All children need social interaction with peers, for example to facilitate social competence," Stenseng said. "When a child is rejected by peers, it may lead to more restlessness, as well as more aggression." Understanding why other children do not want to play with them, however, might help lessen these children's aggression and possibly help them learn strategies to overcome their frustration, Stenseng explained. "As a parent, one option is to facilitate play and activities in social arenas that their child can master despite his or her inattentiveness, impulsivity and restlessness," Stenseng said. "Parents should help their child to find activities, such as sports or other leisure activities, in order to establish social bonds in a context where their child is more comfortable than in the school setting," Stenseng suggested. Adesman pointed out that "children with ADHD often struggle with popular team sports such as baseball and soccer, where kids are expected to pay attention even when the ball is not headed their way." Instead, he added, "children with ADHD are more likely to do well with team sports like basketball that involve more constant movement and engagement, or individual achievement sports like tennis, swimming, track and martial arts." In the meantime, parents and teachers can also help teach children social skills as an important part of managing ADHD behaviors, said Mayra Mendez, a program coordinator for intellectual and developmental disabilities and mental health services at Providence Saint John's Child and Family Development Center in Santa Monica, Calif.
"Early social skills training is essential to the developing brain of a young child, while social skills training for older children solidifies higher-level understanding of social norms," said Mendez, who was not involved in the research. "Social skills training supports awareness of social situations and boundaries, helping children to build on their capacity for self-evaluation, self-regulation and adjustment of their behavior in accordance to the impact they have on others," Mendez added. Stenseng stressed that it is also important not to blame the child with ADHD for the difficulties they experience with their peers, but rather to take their diagnosis into consideration and try to understand the child's feelings. The researchers did not explore the possible effects of taking medication on this cycle, but it is possible that medication for ADHD could influence the back-and-forth interactions, Stenseng said. "To the extent that medication reduces symptoms of ADHD, such medication may also reduce children's likelihood of being rejected by their peers," Stenseng said. "However, over-medication may also lead to the same detrimental outcome, since no children want play partners with no energy or initiative." Adesman agreed that the right amount of medication can help a child with ADHD function better socially. "This study did not look at medication effects, and most preschool children with ADHD are not being treated with medication," he explained. "That said, successful treatment of children with ADHD with medication often does result in improved social functioning and peer acceptance."